There are no documented records of Eel Begi Jaff, and what is known is verbal and hearsay news conveyed from one generation to another among Kurdish tribes. Eel Begi was a member of a Jaff family. Secluded and a Sufi, he spent his life in worship and solitude; this was reflected in most of his poems on future prophesies, which was the fruit of his days of solitude, and worship. He immersed himself in a forty days of seclusion taking with him very little water and food. It is not yet not known if this poet belonged to the if he is from the Moradi or the Jwanord Jaff, as there is very little known about his private live, though it is certain that he was a leading Sufi with larg followers. Some historians believe that he came from Shala w Zalo Aab village, which is located close to the Iranian Sinjabi tribe area and is part of Shah Aabad town, west of of Kirminshah municipality. It is said that in early age he went to Zwar village in Oramanat and married there, had a son named Ahmed, who became the father of Mullah Khadher Rodbari, who in turn was a Kurd Sufi and poet too. He was the author of two poetry volumes known as ( Dawlat Nama and Rola Bezana in 1179h ), where he confirms his roots. Accepting this premise, and conjecturing the year of his death, together with the writing down of Dawlat Nama by his grandson seventy years later, it is clear that he died in 1109h, during the Safawait rule. The religious sect Ahl Alhaq ( Ones of the Right/Truth) regard Eel Begi and Said Baraka, his compatriot, among the originators of the sect. The two were constantly engaged in worshiping, destitution, and acquiring knowledge in the neighbouhood of the cemetery of Saied Mohamed, known as Baba Yadgar , head of the sect. Revising the litrature of Ahl Alhaq such as the laureate Darweesh Noroz and the rest of their poets, we see that Eel Begi was one of the Daweeshes and poets of the sect. In his acclaimed poems known as Harwa Boa and Harwa Awi, meaning That How It Was, And That’s How It Should Be, he predicted the invention of the telegram, the telephone, the car, and the aircraft. He also predicted the rise of the Qajari density in Iran, and the first and second wars and the consequent invasion of Iran by the Russians and the British, and coming of Reza Shah Pahlawi to the rule of Iran; also women’s liberation from hijab and the downfall of Shah Reza Pehlawi as well as the end of the Mullas and the Eghwandies and their complete anhiliation on the hands of the Iranian peoples, where none of them will survive, were also predicted by him. Molana Khalid ben Ahmed ben Hussain came from the Mekaeli Clan of the Jaff tribe; his mother’s name was Fatima from Sadat ( religious heads ) of Beer Khedher Shaho. He was in Zerdi Yawa village in the Qaradagh area in 1197h; learnt the Quran and the holy Hadeeths of the Prophet in Qaradagh. From his early age, was had all the signs of intelligence and prominence that brought him high regards from the Baban Pashas,as well as the intellegensia at that time, such as saied Mohamed Kosa, a head of the Qaradighi Takeia, saied bdul Kareem Al Barzanji, and Mawlana Jalal Khormali the intellectual during the rule of the Babani princes, and Sheikh Mohamed Qeseimi the son of Sheikh Ahmed Mardokhi, the Imam of Dar Al Ihsan mosque in Senindej in Iran Kurdistan; and Mulla Ibrahim Beia Ra ei, and Mulla Mohamed Balki. In 1220h, he went to Holy Mecca for the pilgramege, and upon his return he settled in Sulaimania and began teaching religious sciences. During one of his lessons in Abdul Rahman’s Pasha mosque, he acquainted Darweesh Mohamed also known as Mirza Raheem Allah, an Indian who was a follower of Sheikh Abdulla Delehwi. This connection was the incentive of Mawlana Khalid’s visit to India, which on his way arrived to Tehran and met with Sheia’t scholars and entered into dialogue with them on philosophical and religious questions; most outstanding amongst them Merza Ismaeel Kashi. Passing through Tehran, Qandahar, Kabul, and Peshawer then to Delhi. He described the journey in poetic verses as recited !! Sheikh Abdulla Completing a distance to the place of my hopes, Grateful in obtaining completeness. A day after his arrival in Jehan Abad, he was honoured by meeting Sheikh Abdullah Delehwi, and started sessions of teachings on rules of the Naqshabandi school. After learning in depth about these teachings, he obtained the permission to propogate and spread the Naqshabandi, Qaderi, Kibreweh, Sehrewerdei, and the Jeshneia. Later Sheikh Abdullah requested him to return to Kurdistan to guide the Moslims there.Mawlana Khalid did reture and began his mission in Kurdistan, Baghdad, and then Syria. On a Friday in the month of Zi Elqeida in 1242h he passed away from plague, and buried in the mosque of Yelbegha in Qasion cemetery in Syria. Mula Khedher ben Ahmed Shah Wees was born in 1212h in in the village of Khak we Khol in Shehrazoor; and after learning pure grammer and logic he went to Qradagh area and learnt the Quran and it’s science from Sheikh Mohamed Ali Qradaghi, and the science of perfection in the sessions of Mulla Abdullah Resh. He was inclined towards philosophy and knowledge, and he then went to Sulaimania and learnt the interpetation of the Qoran in the grouping of Mullah Abdullah AlKharabati, where he was licenced to teach there. Later on he went to Hajj, and on his return went to Syria and Istambol, where he joined a government post on the intervention of Amed Pasha Baban. He died there in 1295h. Mullah Khedher Nali was among the distinguished Kurd poets, and he composed sentimental and musical love poems, a pattern he became known in, and readings of his quartet, which showed the extent of his education and knowledge. Mullah Abdul Raheem ben Saied Saeed, better known as AlMaedoom and the title Mawlawi, was born in 1221h in Qashlaq village of Tawgooz. He was taught to read and write by his father, and when young went to Bana and Senindeng in Iran Kurdistan, met with religious leaders and sheikhs and learnt massively from them. He then went to Sulaimania town and became a student of Sheikh Abdul Rahman Notshaie, to learn fiqh (religious juriprudence) and the interpretaton of the Qoran, was then licienced by the Sheikh to teach these sciences. He later returned to his place of birth and started to teach and lecture. During this period, he learnt of Sheikh Othman AlKabeer Al Naqshabendi. He abandoned his teachings and proceeded to meet with this great Sheikh in Oramanat, to become among his close associates, and strongly influenced by him, to the extent he used to shake every time he saw him, having emmince affections to him, and became a poet of the Sufism, and was licensed by the Sheikh to teach and lecture until his death in 1300h. Mawlawi seriously involved in philosophy, knowledge, and fiqh. Khanay Qobadi was a writer of the leaders of the Jaff tribe, and one of the distinguished poets of the Kurds. It was the writer who wrote down and organize Khosro and Shireen book in 1153h, although this book was an extract from the serial of Khosro and Shireen of the acclaimed Iranian poet Nidhami, it was his expressive ability and powerful writings that distinguished from Khosro and Shireen Nidhami’s. Among his prominent poems in this book is Mearaj Nama. Wali was the eldest son of Hama Soor, of the Kamalai family of the Jaff tribe. His birth date is unknown, but what is certain is that he was alive in 1756, and also some evidence that he lived 50 years prior to the acclaimed poet Abdul Rahman, known by Mawlawi. Wali Deewana was a natural poet, noticeable from his second name, full of love and with intense interest in his roots. Though he was illiterate, but his poems flew of culture and his spirit radiant with splendor, which made him one of the best poets of in Kurdish poetry. Wali Deewana was madly in love with Shamsa daughter of Qadir Shirwan, head of one of the Kamalai family. This love penetrated his heart and sole and brought out the sweetest versus of his poems in love description that he called Sham. This romance of Wali put him on the same footing as the love of Majnoon Leila ( Leila’s mad lover), and Ferhad to Shireen. His father, Hama Soor, was a rich man and cared for his son’s welfare; he requested the heads of the tribe to go to Qadir Sherwan, her father, and ask for her hand, which the father accepted. Unfortunately a serious conflict between the two families erupted in the Kali Paikoli during the summer travel of the Jaff tribe to the northern parts, which caused the loss Wali Deewana of his life long love, Shamsa. 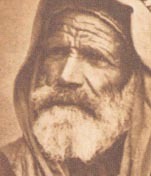 Taher Beg, the son of Othman Pasha the son of Mohamed Pasha the leader of the Jaff tribe, and his mother Adelah Khanoom. He was born in 1875 in Halabcha town where he also did his studied. Due to his frequent travels of his mother to Sanandeg in Iran Kurdistan, he managed to meet with the scholars and laureates there and became influenced by them, as he was a person who was deeply interested in literature and poetry. He learned Farsi and French there and spent his youthful days in nights of leisure and evenings of poetry. But in his late life turned to a state of spirituality to become a Sufi and in secluded. He died in the city of Sulaimania at 42 years of age. His poems were sweet and powerful, and compiled wonderful versus in nature’s beauty and love. Ahmed Beg, also called Ahmed Mokhtar Beg Ben Othman Pasha Jaff, his mother Adela Khanom the daughter of Qadir Beg Sahib Qaran, one of the prices of Ardan in Iran Kurdistan. He was born in the town of Halabcha; he went to school at six and privately tutored in the Farsi language and was also sent to the religious school to learn Arabic. His mother was from Sanendeng in Iran, and during his visits to this town he was influenced by science and literature that added to his connection with poetry and reading and learned French and English at that time. 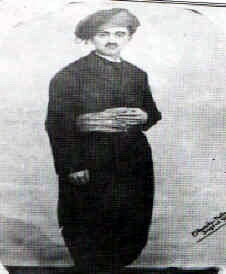 Ahmed Mokhtar Beg was the most prominent poet of the Kurdish literature. This poet had a patriotic spirit, rejected British colonialism and was sad to see the suppression of his people, therefore compiled his patriotic poems inciting his masses to rise and struggle for freedom and independence. He had great admiration to Mahatma Gandhi the Indian patriot, naming one of his sons after him, who created a lot of hatred and abhorrence by the British, and waiting for an opportunity to hunt him down. In 1922 he became the Governor of Halabcha, and two years later was elected member to the Iraqi Parliament, continuing to oppose the British Mandatory rule, which made them conspire and assassinate him later. After his martyrdom, he was buried next to his brother the famous poet Taher Beg in the Ababeli cemetery near Halabcha city. Abdullah, known as Goran, was born in 1904 in one of the suburbs of Sulaimania; a member of the Jaff tribe and one of the most prominent Kurdish poets of modern poetry, and a pioneer in this field, attracting the young and educated, which even still until now young poets follow his pattern of romantic verses. Prior to Goran’s time, most Kurdish poets compiled their poetry on the classical methods; then Goran broke that barrier and wrote his poems on the modern methods, opening doors for new frontiers in the Kurdish literature. Goran lived most of his life in Sulaimania and Baghdad. He had a unique way of describing nature and natural scenery. A famous Kurdish poet who lived in the 15 century in the Shahrazoor district, was known for her beauty and beautiful voice, her skills in playing music. She was a Sufi and seclusive, whose poems animated out this philosophy. She embraced to the Yarsan (Ahlul Haq) sect. Afterwards, she left Shahrazoor and went Lorestan area in west Iran to live in Aina vellage near Khoram Abad city in the Lorestan provence.